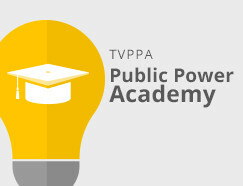 TVA has announced three personnel changes in its Customer Delivery operation. Carl Seigenthaler, general manager for Customer Support & Strategy, will be retiring after 35 years of service. His retirement will be effective January 4, 2019. Seigenthaler has served TVA in a wide variety of roles including accounting, business planning, total quality management, pricing and EnergyRight. Lynn Dabney, general manager for Customer Delivery in west Tennessee, is also retiring after 18 years with TVA. Dabney has served as team lead and manager in the power contracts group and led the initial team in 2013 that revamped TVA’s customer satisfaction survey into the new Voice of the Customer survey. Dabney’s retirement takes effect Oct. 12, 2018. Nancy Mitchell, general manager for Southeast Region Customer Delivery, will leave TVA in January 2019. Mitchell worked for two members of Congress before joining TVA in 2004 as the Valley Relations manager in Kentucky. After seven years in Kentucky, she relocated to Chattanooga and served in both Government Relations and Customer Delivery for the past seven years.